The amenities are spread out among six different floors, including two pools suspended from the top half of the tower. Turnberry hired Carlos Zapata of Carlos Zapata Studio, an award-winning architectural designer known for his work on Soldier Field in Chicago. A Turnberry representative says the development's prices are relatively cheap on a global scale and that sales at Turnberry Ocean Club have been strong. The development is legally registered to market in the state of New York. Without the NY Attorney General's approval, South Florida developers cannot market or sell to NY residents. Turnberry Ocean Club sits proud on the shores of Miami Beach. Its architectural design — modern and art deco like many Miami towers — isn’t even the most exciting feature of this high-end condominium residence, because the 70,000 square-feet of amenities is the big draw. On display at Inman’s first Global Connect event in New York, the building and its amenities were discussed in detail by its lead agent, designer and other leading minds of the project. 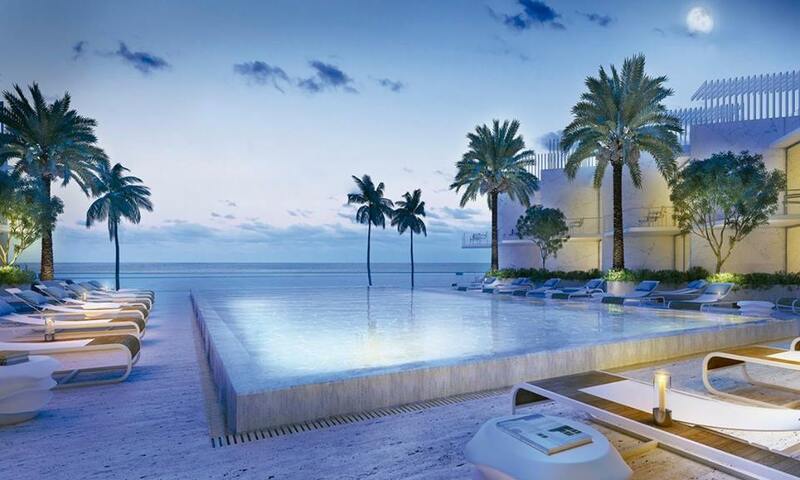 Mayi de La Vega, founder and CEO of One Sotheby’s International Realty, the agency that represents Turnberry Ocean Club, calls the developer one of the best in South Florida and says she was ecstatic just to interview for the chance work the firm. As one of the oldest developers in Miami Beach, Turnberry knows its market well. Dan Riordan, who oversees the residential division, wanted to do something grander than anything they’ve done before, so they hired Carlos Zapata of Carlos Zapata Studio, an award-winning architectural designer known for his work on Soldier Field in Chicago. As one of the oldest developers in Miami Beach, Turnberry knows its market well. The amenities are spread out among six different floors, including a gym, spa, salon, two restaurants and a pet retreat — and two pools suspended from the top half of the tower. How did the designs come to fruition? Zapata thought big — beyond Miami, even. According to Riordan, who says the development’s prices are relatively cheap on a global scale, sales at Turnberry Ocean Club have been strong despite the tightening international dollar. Are agents cut out to sell one new development to two different markets? When picking a sales team, de La Vega says there are two types of agents in South Florida and, likely, Manhattan: those who focus on resale and those who specialize in pre-developments. “What we’ve tried to do is identify who those agents are for the in-house team that have those strategic broker relationships… and then taking those general real estate agents and trying to make them development agents,” she said. As a result, they’ve launched an app that enables brokers to gain knowledge on new developments in South Florida. Aside from an obvious amenity package, Turnberry has another edge: the development is legally registered to market in the state of New York, which expands its buyer profile enormously. Without the New York Attorney General’s stamp of approval, South Florida developers cannot send out brochures or set up billboard advertisements for their properties.